Tucked away in Northern New Jersey, about an hour from New York City, is the Historic Meadowburn Farm. We were lucky enough to get to visit and tour the gardens and farms last month at the end of summer and right at the peak of dahlia season. Meadowburn Farm was founded in the 1750s on the border between New York and New Jersey and was a homestead for many years. It was later broken into parcels, one of which became the farm that exists today. 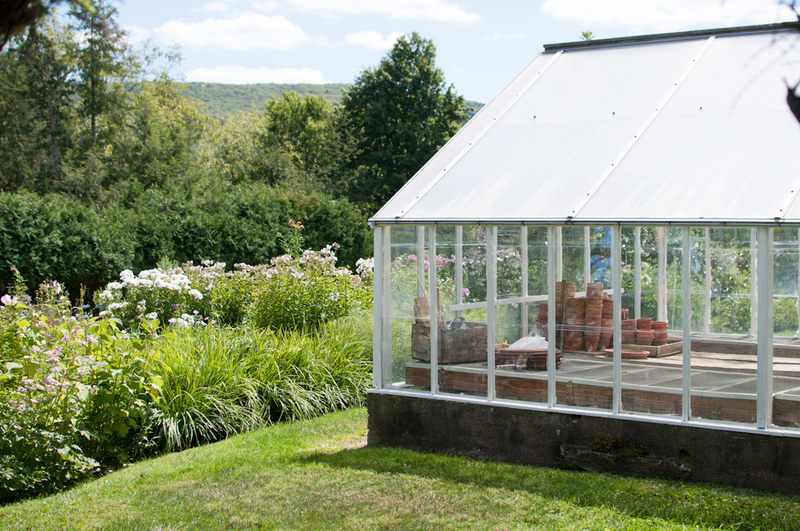 The farm was later the country home of Helena Rutherfurd Ely, a New York socialite and an influential garden writer. Today the farm is a historic garden open for tours and still ha a working dairy. Most of the garden still follows Helena Rutherfurd Ely's original design and is in the process of being restored to its former glory. The garden is broken into a series of smaller gardens as it was in the past, and many of the original fountains, stonework, and wooden fences still stand. The garden is beautiful not only for its rows and rows of lovely flower and plants, but for its peak into its past. Not only did we get to tour the spectacular gardens, but we made a trip to their dairy as well, and took home some of the farm's homemade cheddar. The farm is also a protected historic farm and home to some very happy to Jersey cows. If you want to learn more about Meadowburn Farm or plan a trip, you can visit their website at http://www.meadowburnfarm.com/.